Just west of Dallas, Fort Worth is a gem of a city. Historically, the city came into importance as a trading post for cowboys at the end of the Chisholm Trail. Today, it is filled with art museums, eclectic neighborhoods, and delicious restaurants. The Fort Worth Stockyards is home to rodeos, the National Cowgirl Museum and Hall of Fame, and makes you feel like you’ve passed into the Old West. Fort Worth promotes itself as the “City of Cowboys and Culture”. The city is jam-packed with museums, like the Kimbell Art Museum, American Airline C.R. Smith Museum, Texas Civil War Museum, Fort Worth Museum of Science and History, and Modern Art Museum of Fort Worth. The Fort Worth Zoo and Fort Worth Botanical Garden are beautiful and family-friendly sites to see, while the Fort Worth Water Gardens are a true spectacle. Sundance Square is a true watering hole filled with delicious restaurants, bars, and live music. 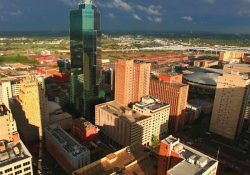 Though sometimes overshadowed by its close neighbor, Dallas, Fort Worth is a city worthy of its own fame and enjoyment. Howl2GO by Howl at the Moon is the premier name in Dueling Piano entertainment. Bring our incredible performance to your event in Fort Worth at any venue. Bringing Howl2GO’s show to any venue in Fort Worth means you’ll be getting only the country’s top Dueling Piano performers. All our performers are young, exciting and high energy, as well as being experienced in playing all types of events anywhere in the Fort Worth area. We specialize in all types of events, anywhere in the Fort Worth area company parties, wedding receptions, charity fundraisers or house parties are all made more fun by bringing Howl2GO by Howl at the Moon. We tailor every single show to you and your guests, playing music for all ages. Fundraising for churches, schools or your chosen cause is perfect for our show – plus advertising that you have Howl at the Moon performing is a huge draw in the Fort Worth community. 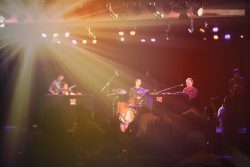 Howl2GO is the only dedicated Dueling Pianos company in Fort Worth and our team works tirelessly to ensure your event is perfect. Our production team will deal directly with your Fort Worth venue and, in conjunction with our Wedding Specialist, sales director and our amazing piano players, create a customized event just for you. Our Howl at the Moon musicians will take you guests’ requests live just as they do in one of our many nationwide venues. Since our inception in 1990, Howl at the Moon has been the number 1 place for bachelorette parties, and now Howl2GO has become the number one choice for Fort Worth area Dueling Piano wedding entertainment. From your ceremony, through announcements and you first dance until the last guests leave the dancefloor following your reception, our live Wedding music will keep everyone on the dance floor all night long. Choose us, the experts in Wedding entertainment, and don’t take a chance on a local act who will not provide the professional performance required of the biggest night of your life! We have a dedicated reviews page so you can read testimonials from hundreds of our thrilled clients in Fort Worth. Our Facebook page features regular updates, and following us on Instagram and Twitter means you’ll stay up to date on where we’re playing next near Fort Worth TX.